I thought this recipe sounded good when I saw it at allrecipes. So I made it up with a few adjustments. 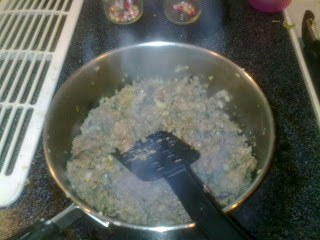 First I browned a pound of Italian sausage - sage flavored - with about a tablespoon of fresh garlic. Then I added a finely chopped onion. It was on the smallish side so I'd go with half an onion if it was a large one. I also added 1/2 t. rosemary, 1/2 t. sage, 1/2 t. marjoram. and 1/4 t. crushed red pepper flakes. When the sausage was mostly brown, I put the whole pan in the freezer to cool it down fast. 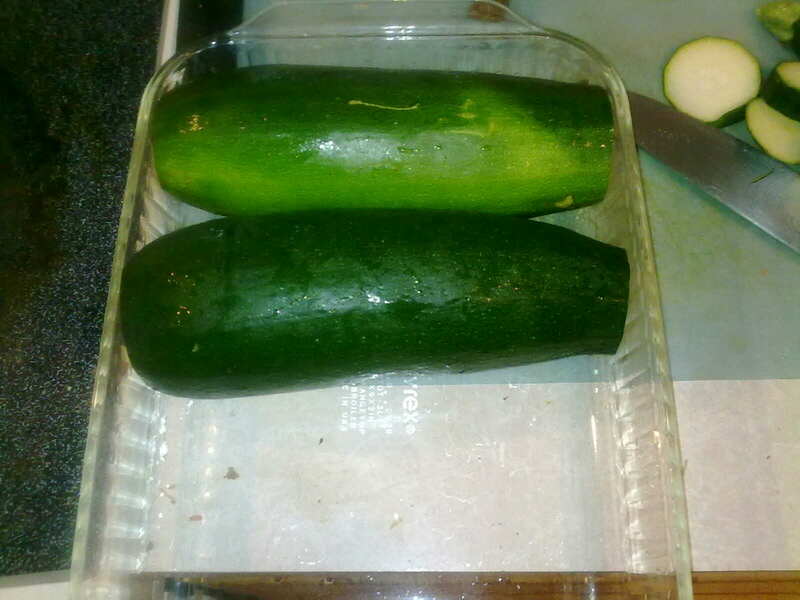 While the meat and spices were cooling, I turned on the oven to 350 and trimmed 2 large zucchini to fit into my casserole dish. 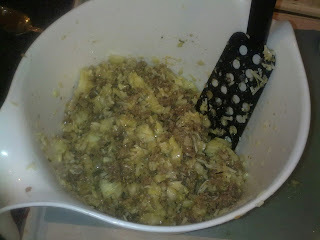 I cut the zucchini in half and scraped out the seeds, reserving them. 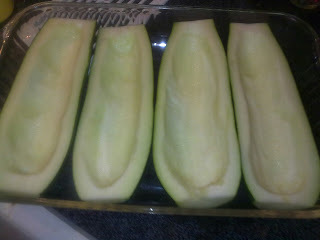 Then I put the zucchini into the oven to start them cooking while I mixed the stuffing. 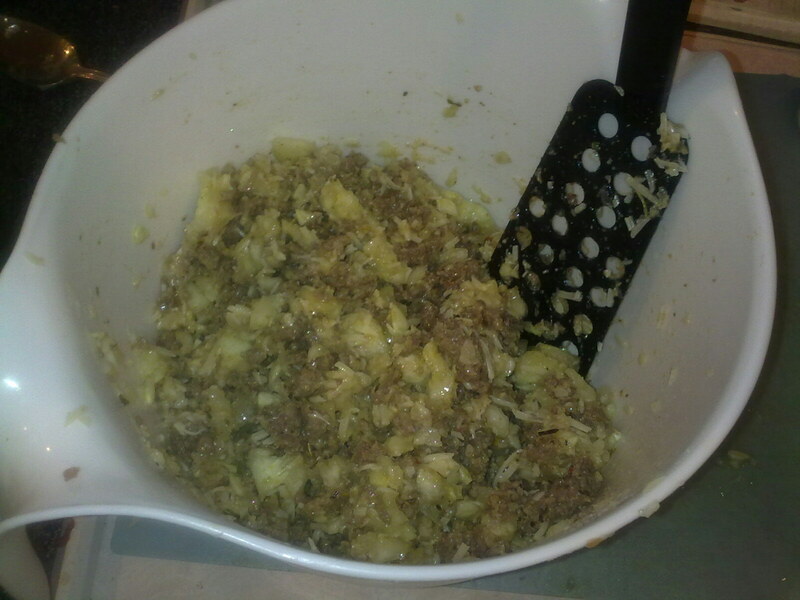 The stuffing included the reserved zucchini seeds, the cooled meat mixture, 1 cup bread crumbs, and 1/2 cup parmesan cheese. I cooled the meat mixture because I didn't want it be hot and melt the parmesan into clumps. 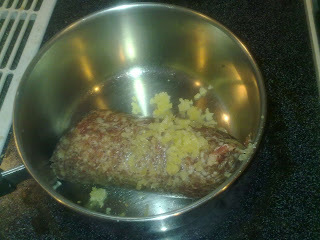 Cooled, the meat and parmesan blended well. 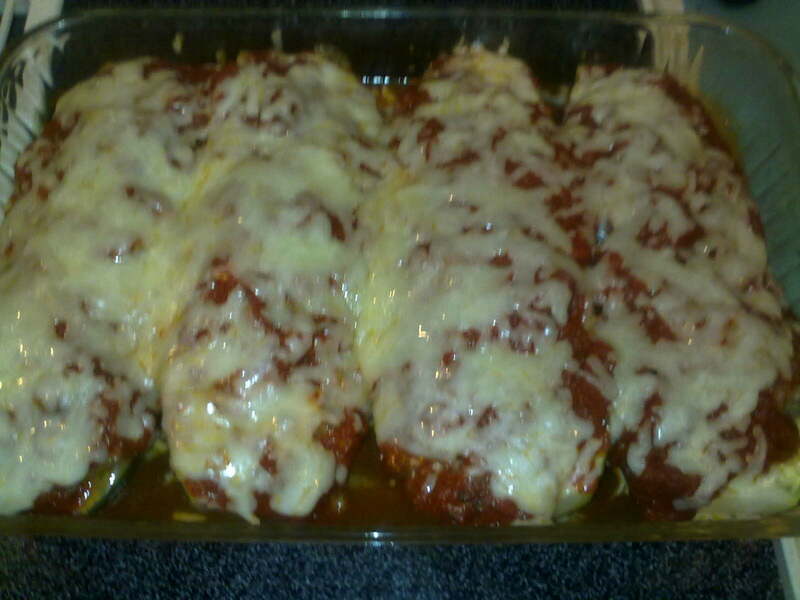 Next I took the warming zucchni out of the oven and stuffed the meat mixture into each boat. 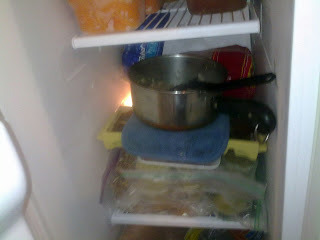 Then I covered the boats spaghetti sauce. I used a 24 oz jar. I almost for the picture! I baked the stuffed zucchini for 45 minutes covered with foil. Then I removed the foil, added a cup of mozzarella and baked another 5 minutes. It was delicious! DH had seconds and his only recommendation was to make the zucchini a little thinner next time. ie. scoop out more zucchini middle. 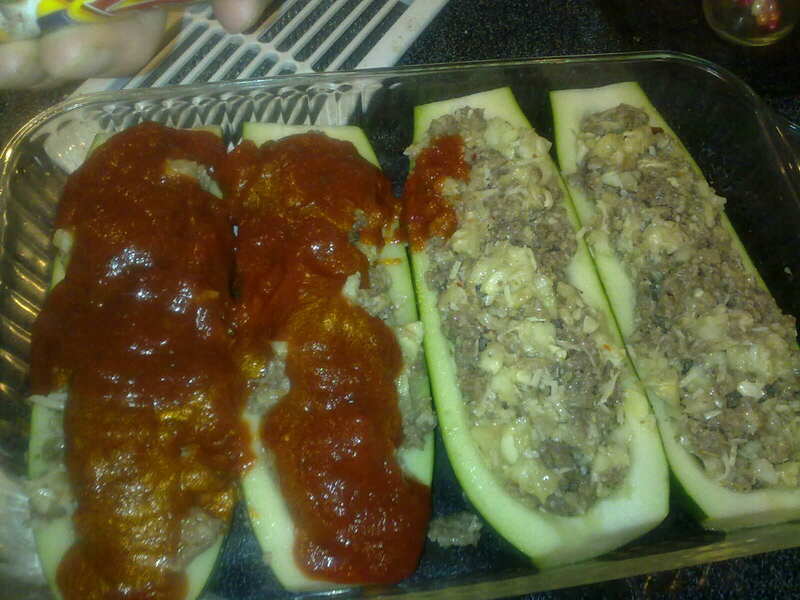 As it was the zucchini was not mushy, the meat was fully cooked, and I was really pleased with how it turned out! We gave the kids 1/3 and 1/2 sections and we had one whole boat left over for 2 lunches. I am so happy we have another way to use zucchini!